Veröffentlicht am 11. Oktober 2015 um 13:30 Uhr. The idea of divesting from fossil fuels is on the rise – in the US, in Europe, and globally. More and more municipalities, banks, insurance companies and pension funds are seeing the financial risk and the moral hazard that comes with holding shares of fossil fuel companies and take action. They take their money out of fossil assets and re-invest into sustainable, green finance. 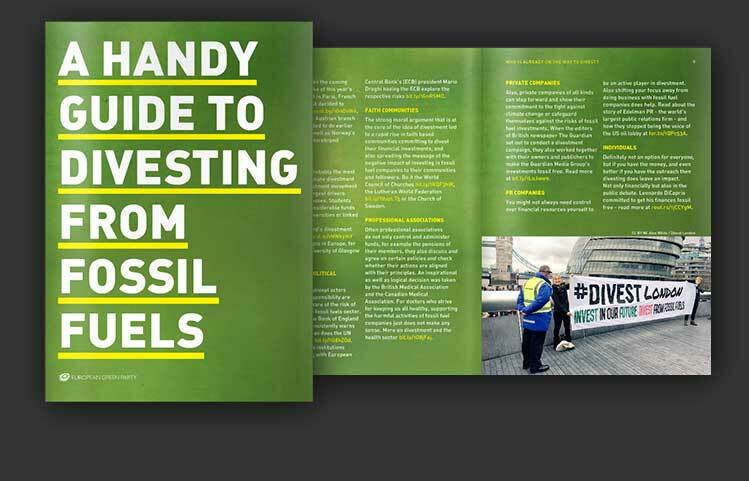 This guide is meant to give you an insight and brief overview of the idea and practice of divesting as a potent tool to fight climate change.